New connections for new neighbourhoods. 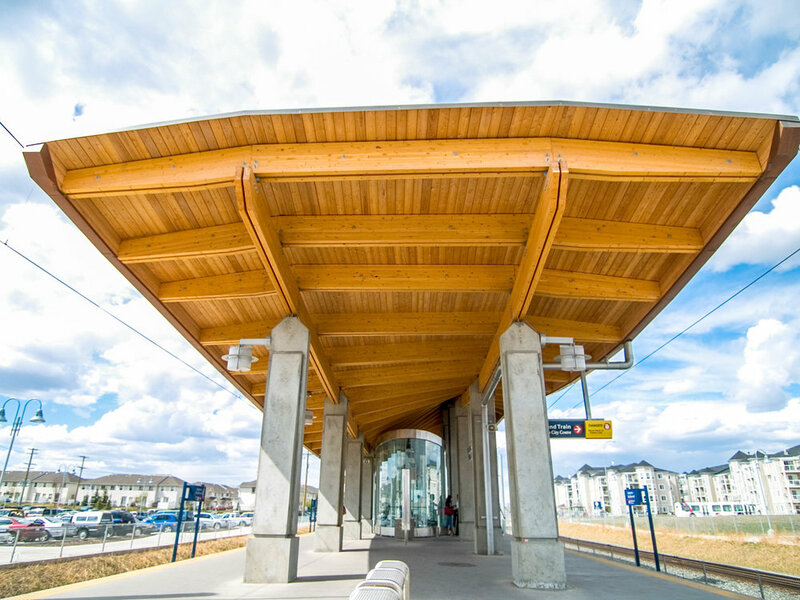 The Somerset-Bridlewood station provides passengers a bright, welcoming station to mark entry to this south neighbourhood. Heated, elliptical shelters of silicone-jointed glass and stainless steel provide comfortable waiting areas for approximately 200 passengers. The structure is more rationally conceived than it first may appear: two identical, sinuous beams were placed opposite each other in reverse orientation. This enabled two of each profile to be made, halving the number of unique profiles that would otherwise need to be fabricated. 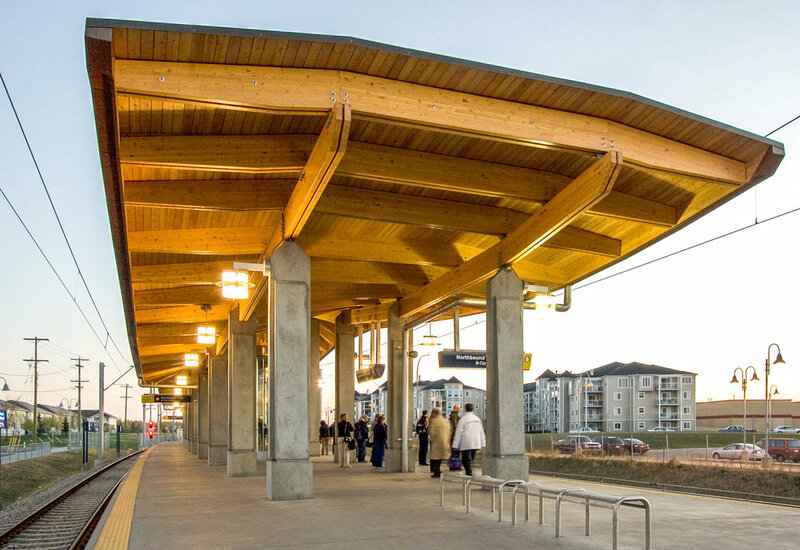 The roof form is achieved through the use of a glulam structure placed on top of precast concrete columns. A copper-faced membrane provides an economic roof material, consistent with the use of natural, unadorned materials in the rest of the station platform.